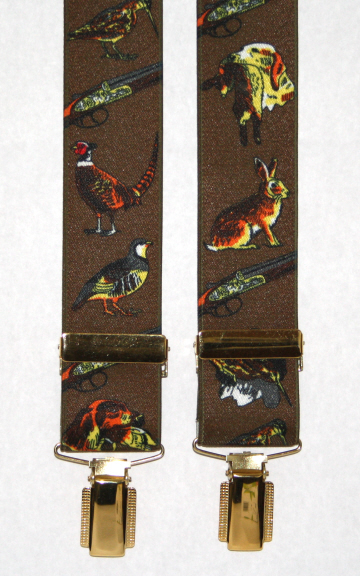 Elastic gundog braces depicting various country themes including rabbit, snipe, gun and partridge on a brown background. Mens Green Gundog Braces . Smart, eye-catching and great for keeping up those trousers too! Standing spaniel dogs on plain tie. Theme available in three colours including black/white spaniel.